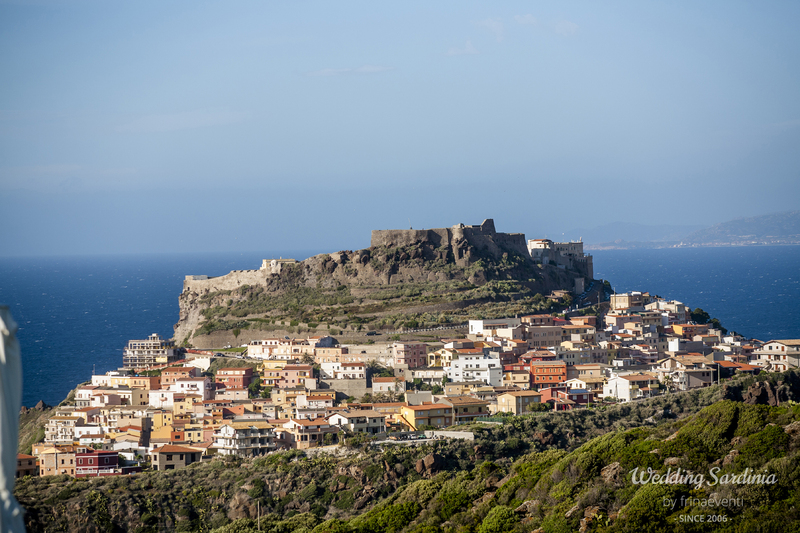 Perched on a large promontory facing the sea, Castelsardo is one of the most beautiful medieval villages of Italy, offering postcard-like views. 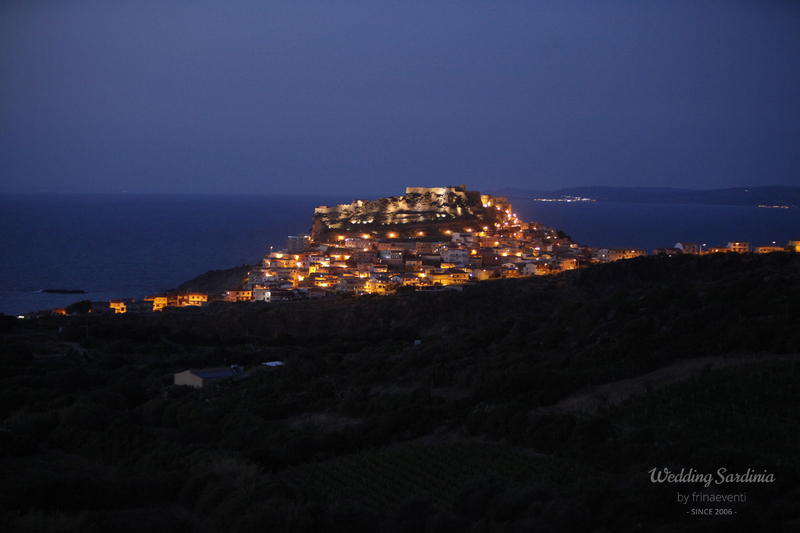 This very picturesque town is characterized by endless steps, a labyrinth of narrow streets lined with the typical tall, narrow houses, stone-paved squares, and by the majestic Cathedral of Sant’Antonio Abate visible from several miles out at sea, thanks to its bell tower tiled with colored maiolica. 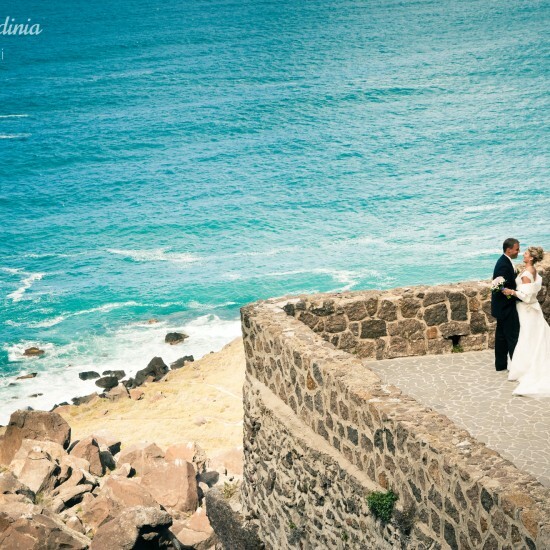 Anywhere you look, from whatever perspective, the promontory of Castelsardo offers enchanting panoramic views and cliffs rising from the sea: the perfect choice for a romantic panoramic wedding in Italian style! 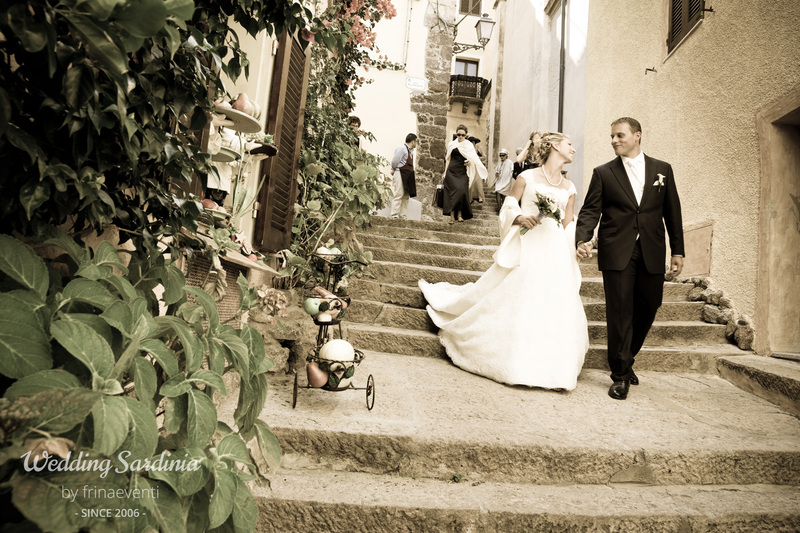 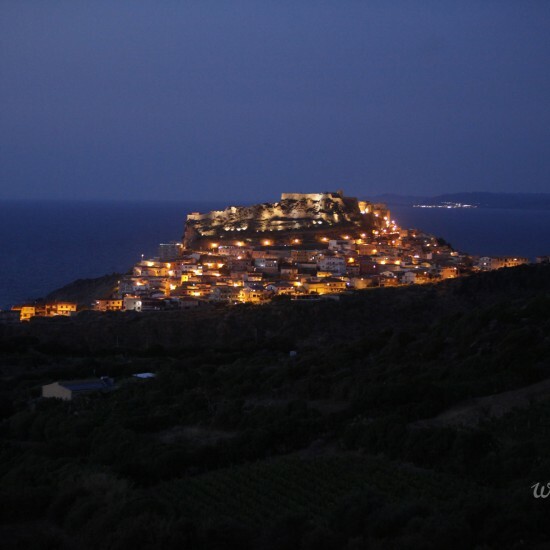 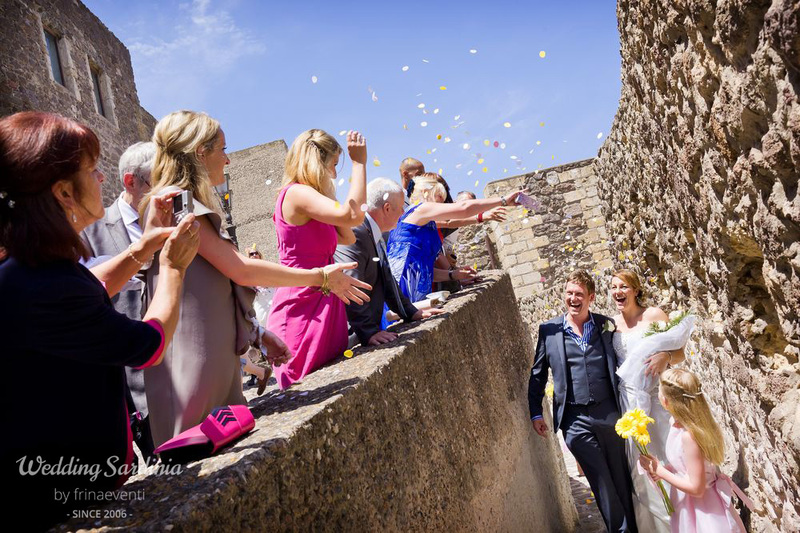 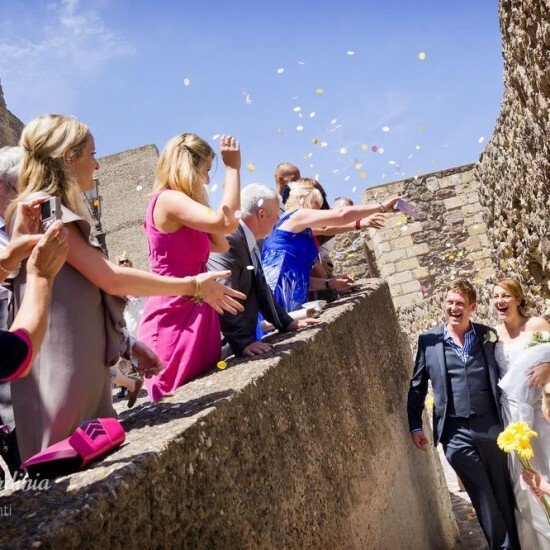 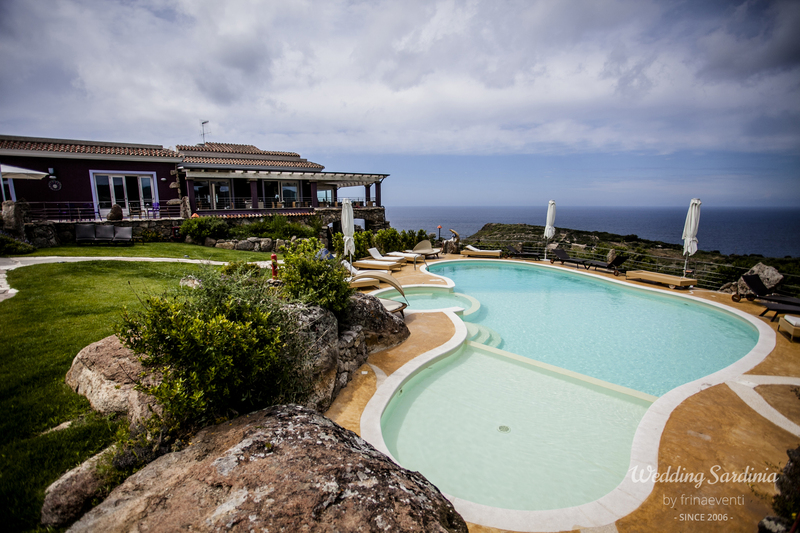 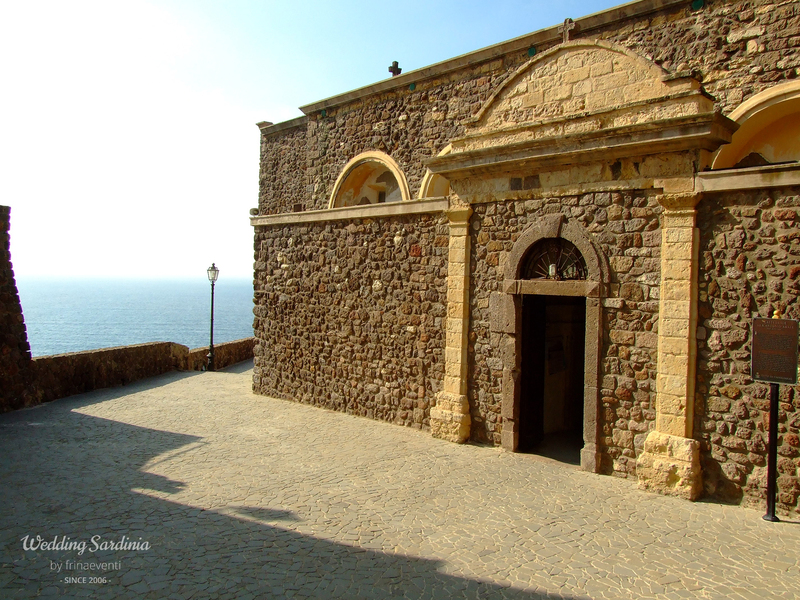 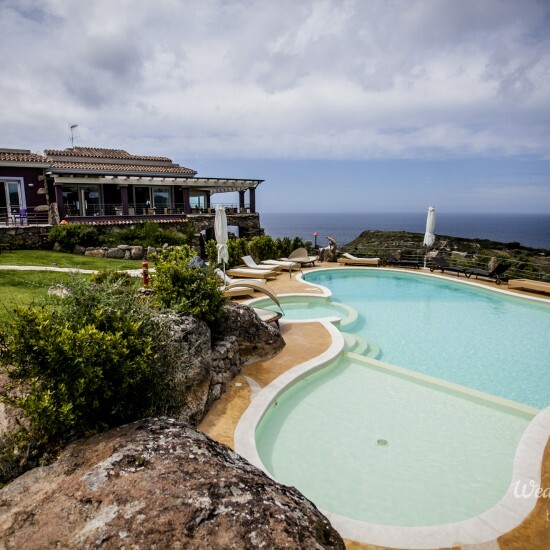 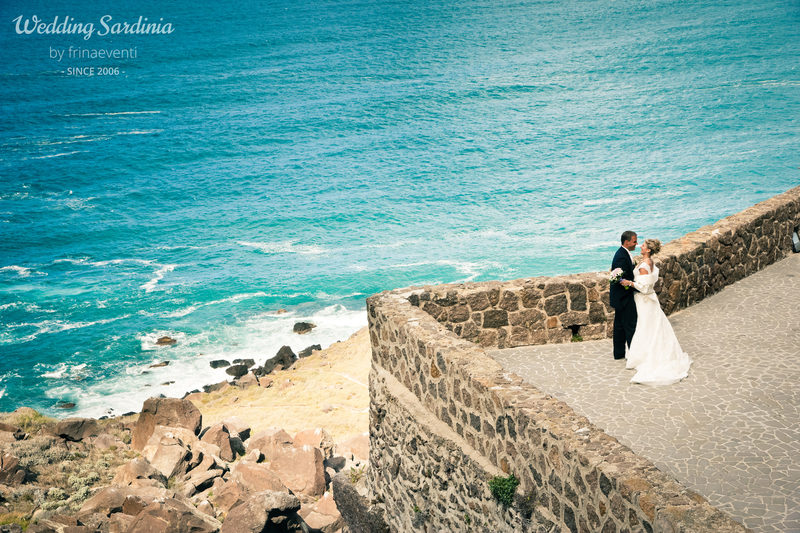 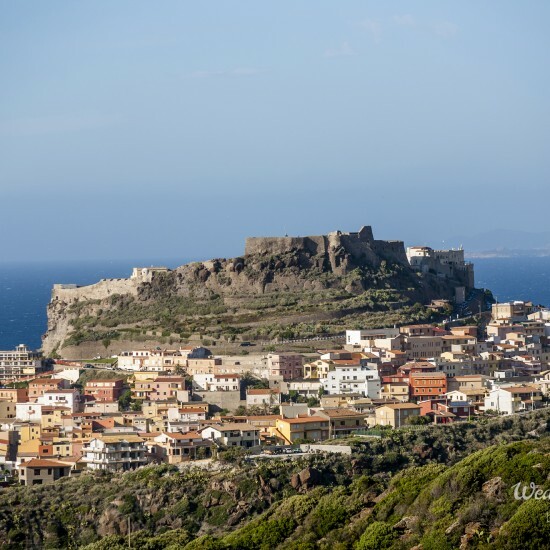 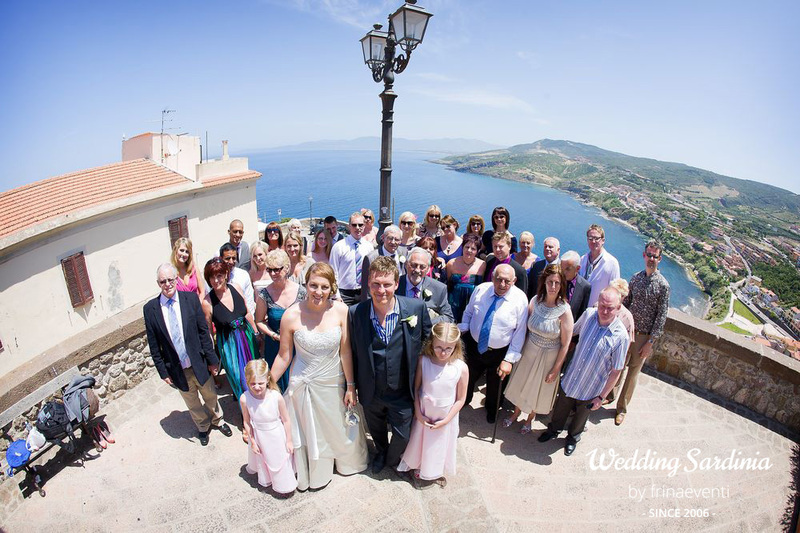 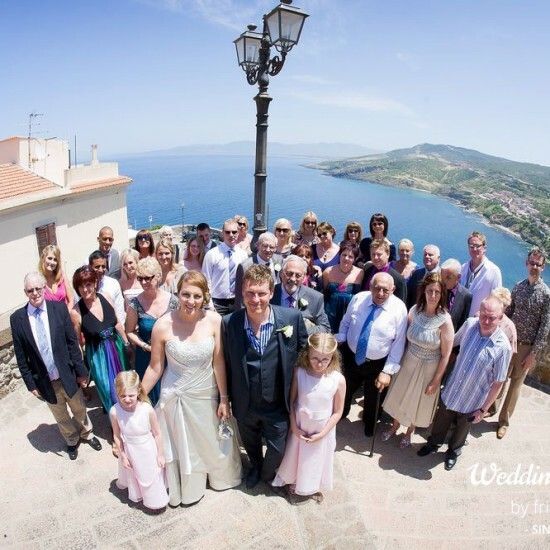 Civil ceremonies are performed in the medieval Doria’s Castle dating from the 12th century, an enchantig building overlooking the sea located on the top of the panoramic promontory of Castelsardo. 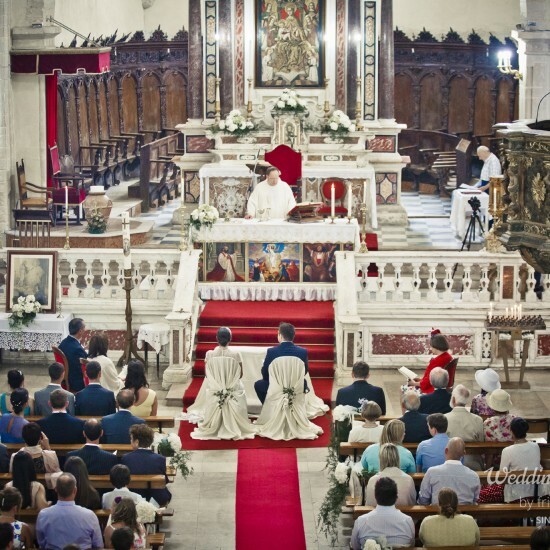 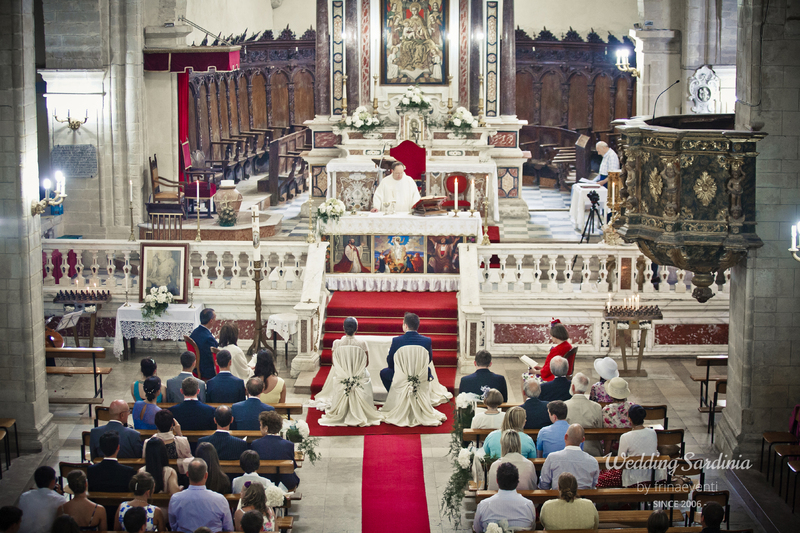 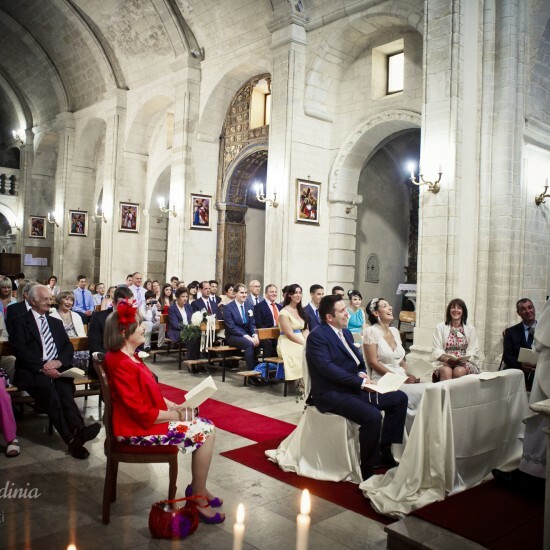 Catholic ceremonies take place in the marvellous Cathedral of S.Antono Abate located in the very heart of the medieval village. 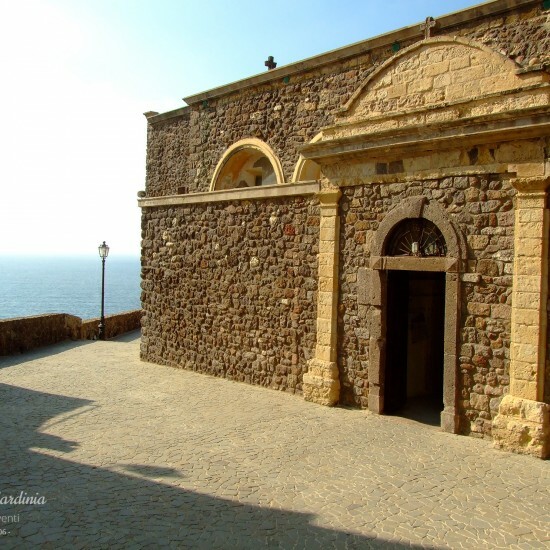 An impressive church perched on a cliff overlooking the Mediterranean Sea. 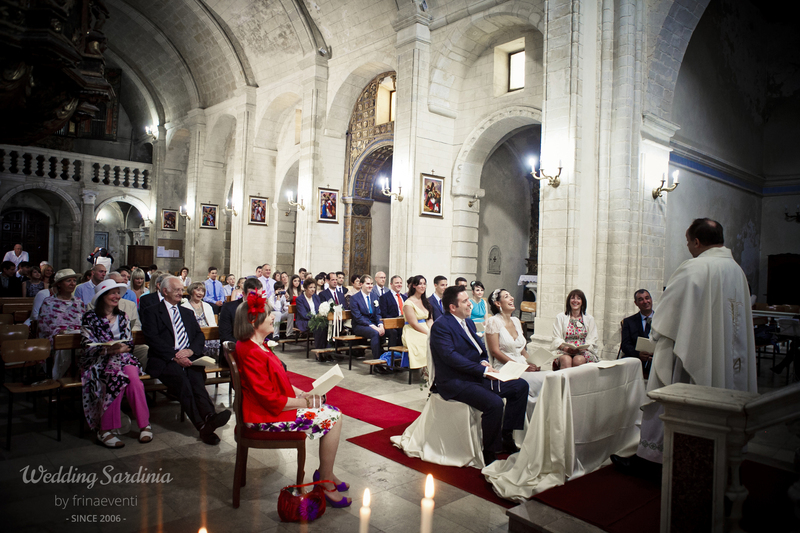 Ceremonies can be performed by an English-speaking priest.